There is further evidence that the commercial property market is picking up in Cornwall, with a bank building in Helston being sold through auction significantly above the guide price. 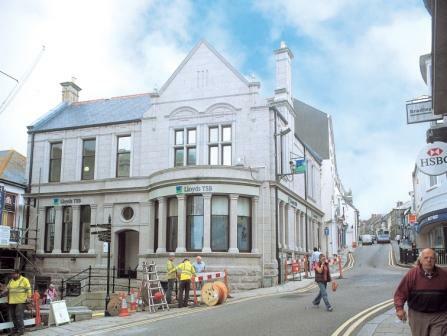 1 Market Place in Helston, which currently houses bank Lloyds TSB, was sold at auction last week through commercial real estate firm Jones Lang LaSalle for £470k against a £325k guide price. Richard Auterac, auctioneer at Jones Lang LaSalle, said: “This attractive building located in the heart of the ancient market town Helston achieved a fantastic result. It was an impressive investment opportunity, offering a superb space in a popular location with a good tenant and quite rightly was snapped up over the guide price. Next articleEditor’s blog: A place to call home?